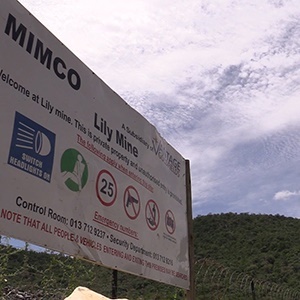 The new owners of Lily and Barbrook Mines in Mpumalanga on Tuesday said they were ready to resume operations, after nearly three years of non-activity and undergoing business rescue. Siyakhula Sonke Empowerment Corporation (SSC), which took control of the mines from Australian company Vantage Goldfields, said R250m would be required to take the companies out of business rescue. The empowerment company received R190m in funding from the Industrial Development Corporation to finance the takeover. "We are comfortable that we can afford the terms of the IDC loan. Our plan is to pay it off faster," said SSC Chief Executive Fred Arendse. "It’s a big task, and we are up to the challenge." Arendse added the first access decline at Lily was scheduled to take place in February. A total of R46.2m working capital was required to bring the mine back into operation, he said. Vantage Goldfields initially said it required R300m to pay for maintenance and to settle debt. Arendse said the profits from the mine would be used to pay creditors. Barbrook would open first, followed by Lily Mine, the site of the 2016 accident caused by the collapse of a crown pillar. Three workers were killed when the lamp room container they were working in was swallowed and buried underground. Operations at Lily Mine, which is based in Barberton, came to halt in February 2016 after the accident. It was later placed under business rescue, with about 1 000 workers losing their jobs. Arendse did not promise that the reopening of the mine would lead to the recovery of the container with bodies of the workers. The site of the access decline is 400 metres away from where the container is believed to have sunk. Earlier this month, a liquidation application brought against Barbrook, which Arendse described as "hostile", was withdrawn, paving the way for the takeover. The small Lily Mine has since 2000 produced 210 000 ounces of gold. The new owners project that it will produce 30 000 ounce per annum for at least 10 years. Lily Mine is expected to generate cash flow within three months, through gold extraction from the tailing storage facilities. SSC, an empowerment outfit founded in 2005, said it was awaiting approval from the Department of Mineral Resources for the transfer of control.